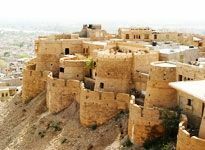 One of the most favored tourist destinations in Rajasthan, the desert city of Jaisalmer is frequented by thousands of domestic travelers as well as foreign tourists. 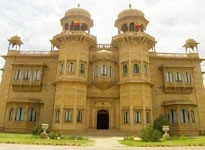 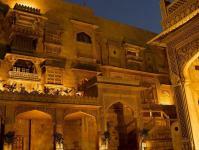 The city offers ample accommodation options for visitors at the numerous Hotels in Jaisalmer. 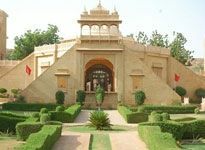 Nestled in the foothills of Trikuta, Jailsalmer in Rajasthan is famous for its imposing forts, exquisite palaces and havelis, which truly depict the aesthetic sense of the medieval Rajput warriors. 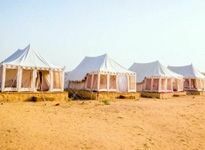 the hotels offer the right kind of accommodation and services for you and your family or friends visiting this historic town. 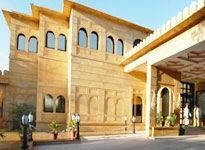 Ranging from luxurious heritage hotels and five star hotels to medium-priced economy hotels and cheap budget hotels, these are symbols of elegance and warmth, and they serve as the perfect retreats to unwind and relax in the calm and peaceful setting of a bygone era. 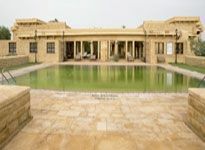 Located within easy distance from the major forts, palaces and havelis in Jaisalmer city - the premier Jaisalmer hotels delight the guests with some excellent facilities and services that can truly conform to international standards. 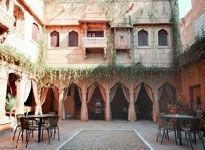 The tariffs at these hotels and resorts are pretty affordable, making them the favorite holiday haunts for all kinds of travelers looking to explore historic Jaisalmer and its surroundings. 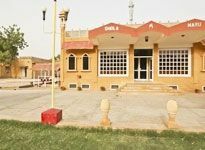 Acclaimed for providing the best of comforts amidst traditional hospitality, the hotels are equipped with all modern amenities, to make your idyllic holiday all the more comfortable and memorable. 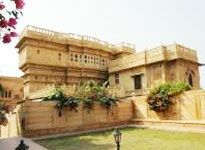 The well-furnished rooms and personalized services at these hotels are the perfect foil for an enjoyable holiday. 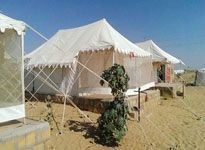 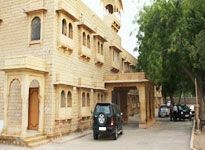 Feel pampered at the Jaisalmer hotels, which provide a host of luxurious amenities - ranging from lavishly appointed rooms and suites sporting elegant decor, to exquisite dining, hi-tech business facilities and several modern-day facilities.